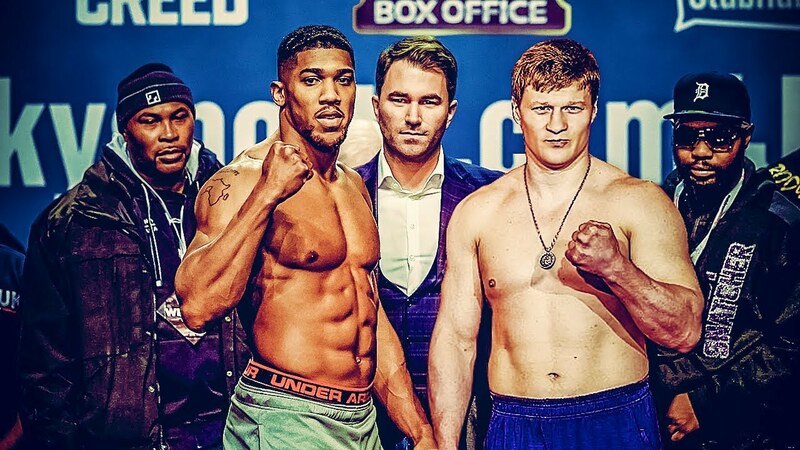 Heavyweight championship boxing returns today, as three-belt heavyweight world titleholder Anthony Joshua will step into the ring to defend his titles against the dangerous Alexander Povetkin. Joshua (21-0, 20 KO's) went the distance for the first time in his professional career in March when he outpointed Joseph Parker. successfully defended his titles against Joseph Parker back in March. Povetkin (34-1, 24 KO's), who fought on the undercard, scored a brutal fifth-round KO over David Price. Today will also mark Joshua's debut on the new DAZN streaming service. Look below to catch all the details you need to watch the fight. Invite your friends, order some pizza, and have a great time!